In 1837 in the UK privately revolutionary project of postal reform was published. The project's author Robert Hill proposed an advance payment for the mail forwarding and establish a uniform tariff. British Parliament accepted the idea of R. Hill as nonsense and absurdity. Conservative London did not know which force is trying to resist. A new era has organized a flurry of petitions in support of urgent reform. As a result, May 6, 1840, the day of the sale of the first postage stamp, R. Hill did in his diary entry: "I got up at 8, selling stamps Large crowd at the London-mail.". Name the first collector of stamps is not known. And about being born philately, there is the story: "In May 1968, at auction in London for 12,000 pounds was sold to a letter, paid ten without cutting marks, dated May 6, 1840 Who would send such a letter, if. its payment was needed only one brand - the usual "black penny" probably a collector, who wanted to preserve this envelope? " Mark had obvious magnetism. Following the UK since 1843, Mark began to produce two Swiss canton and Brazil. Over the next 15 years, the brand entered into circulation 60 countries. The first demonstration of the collected marks awarded in Brussels in 1852. Philatelic magazine first appeared in Liverpool in 10 years. In the 60 years of the nineteenth century began to emerge philatelic society. First Philatelic Dictionary was released in Germany in 1867, it contained 680 terms. In the Russian Empire, the first postage stamp went on sale in December 1857. The classical period of philately - the time of release of postage stamps, designed exclusively for the needs of mail - attributed to years 1840-1875. The functionality of this period, the brand explains the monotony of the plot Pictures: Monarchs (UK), coat of arms (Russia), the founders of states and presidents (USA). Government is not in a hurry to tempt collectors. Over time, the state will begin to actively exploit the philatelic interest, releasing part of the circulation stamps specifically based on the collectors. By this time, philately has become the whole world, it has developed its own hierarchy of values. Some brands have entered into the world elite of rarities, comfortable feeling as the lots at major auctions. The brand has become profitable to invest money, and they have found an even greater appeal in the eyes of the novice collector. States and private companies actively provoked collectors, producing colorful stamps that already actually were not signs of post payment. 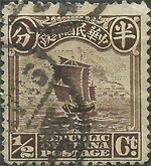 The issue of stamps for individual states became a reliable source of income, and sometimes only one. The countries that produce tradable commodities, competition unfolded. In order to attract a buyer of the brand produced all geometric shapes (diamond, circle, oval, irregular polygon) and outlines the most incredible (coconut, banana, parrot, country, continent). Stamps made of aluminum, steel and silver foil. In 1965, Gabon in memory of the sad events produced brand of gold, which weighed 0.6 g, circulation of 50 000 copies. It was not the most worthless placing 30 kg of gold, because followed by the Gabonese Republic to a dozen countries issued a golden brand. Striking revolutionary thinking company that produces the brand on behalf of the Kingdom of Bhutan. For a start, they began to produce the brand with the stereoscopic effect. Then we began to produce brand-records with the anthem of Bhutan, its brief history, folk songs. The same company came up with a brand aromatic, smelling a rose. In modern times fantasy extracting money out of nothing touched the back of the brand, instead of causing the adhesive layer LSD. Among the collectors is widely believed: collection - one of the most profitable investments. As evidence, given the amount of fabulous profits from the resale of brands: in 70 years the two "Mauritius" - "blue" and "orange" - were sold for $ 380,000, and in 1985 for $ 1,700,000. Philately classical style - a tendency to undercurrent, a sense of chosenness, failure to cast pearls before not knowing the crowd. Collection - is thought and feeling. But "the thought expressed is a lie", and the feeling of his talk the crowd, not knowing the basics of this art altogether unthinkable. Postage stamp - witty notion of humanity, to guess the smell of locomotive smoke and aesthetics gun "Colt" a new era. The appearance of a postage stamp is in line with the fundamental inventions of the XIX century who created the skeleton of technical civilization. By the end of the twentieth century, the original function of a postage stamp to be cheap payment of mail sign exhausted. The cost of e-mail over the Internet right now is many times cheaper than the "paper mail". 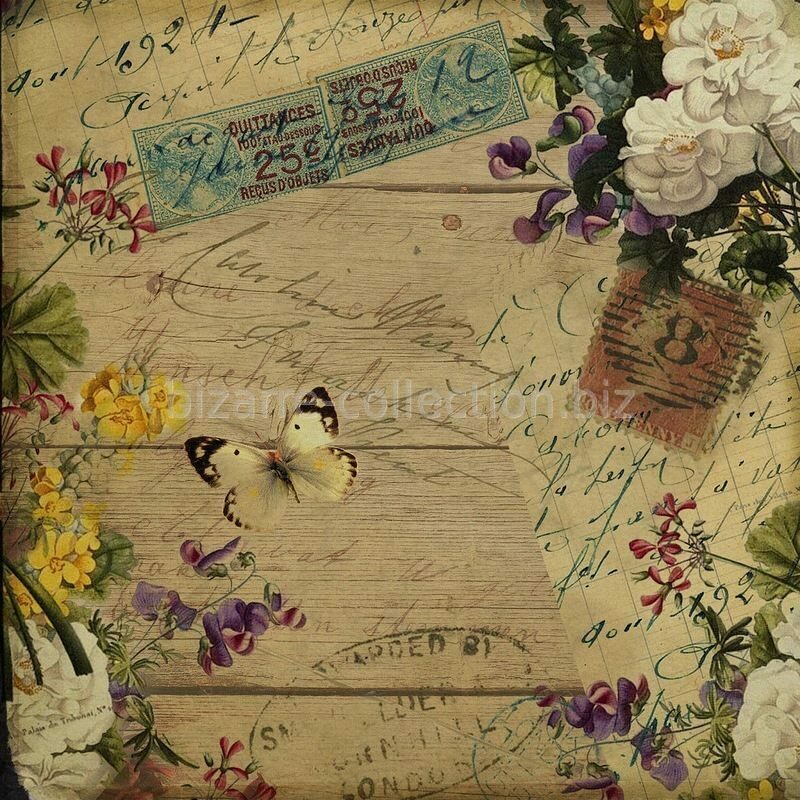 Perhaps the "paper mail" in the so-called information civilization will be the privilege of wealthy people who can pay for their eccentricity - keep writing the hands that hold the breath of a loved one. Dear guests and buyers! We are grateful that you have stopped their attention to the products of our store. To help you easily navigate the proposed material, you need to go to "Site Map", which is displayed on the classification of countries and topics. To make a purchase you need to register and activate your registration. Activation confirmation will come to your e-mail, the activation may take some time. When you register you need to provide your e-mail, postal address, zip code, name, contact phone number. Without these data are not sending your chosen product. On the product page click the "Add to cart". Repeat this for each product you have selected. After selecting all the desired items, proceed to the section "Basket". If necessary, adjust the contents of the basket and click the "Checkout" button. After that your order arrives at our e-mail for further processing. Within 1 business day after placing the order, you indicated during the registration e-mail, invoice will be sent, including the cost of items and shipping and payment details of your order. Pay for goods you can convenient way for you. It is important only full payment for the goods on time, and how you want it to do, just your desire and initiative. We are committed to send you purchased goods within 7 working days after receipt of 100% payment to our account. WARNING !!! Cash on delivery sales were made !!! The term of payment of the order of 10 days. If during this period your item has not been paid, he again put up for sale, your order will be canceled. From 01.01.2019 the payment rules for the goods partially change: at the order amount up to 21000 rubles. goods can be paid by cash on delivery, with the order amount of more than 21000 rubles. - Pre-payment is required. Purchased items are sent by registered mail (parcel) according to current tariffs RUSSIAN MAIL buyer's expense (cost of valuable letters 200-400 rubles) in the territory of the Russian Federation, for the near and far abroad, other rates. Sending large format and large products will be negotiated separately. Item from our store goes to anywhere in the world without restriction, subject to all of the above conditions, the proposed purchaser. We are responsible for the condition of the proposed material. In order to avoid unpleasant moments, please specify all the characteristics you have chosen the goods until payment.